If you're sensitive to grains, check out my grain-free / gluten-free posts here. And also, the author of this book disagrees with me, but most of you don't need to give up grains for life – read more about that here: GAPS Diet for Rookies. In the past I had already experimented with Spelt and Kamut flours because I'd heard that the wheat crops these days have been so “dumbed down” – or hybridized, that they've lost a lot of their nutritional value; whereas more traditional grains are closer to how God created them. Lately I've been substituting Spelt flour or Einkorn flour for almost all the whole wheat flour that I'd have normally used in muffins or cookies, etc., and I've been very happy with the results. It can be used cup for cup, in the same amounts that you'd have used whole wheat flour, but both have an even milder taste and you end up with a lighter final product. The only time you can't totally substitute spelt flour for wheat flour is in bread making, because spelt won't rise as well, and I don't know yet how Einkorn does in bread. I don't use Kamut as much these days as I've found it to be a heavier, more dense flour. See links below for more info about a variety of different grains. What are some ways YOU use alternative grains? Yummy blender recipe for pancakes/waffles using alternative whole grains, not whole grain flour, but whole grains, as in the spelt or einkorn berries at the links above. 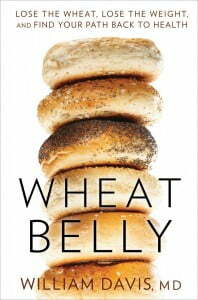 Why are whole grains better for us anyway? Have you heard about the GAPS diet that can cure Autism, ADD, ADHD, constipation, candida, asthma, learning / behavioral problems & depression? Hey all! I too use spelt in replace of traditional wheats and I am seeing a noticeable difference in the way I feel. Like many people, I have a wheat sensitivity [to be clear NOT celiacs] and would feel pretty awful after eating foods that are dense in wheat. My neighbor suggested that I try Vita-Spelt products and they have had a huge impact on the way I feel. I love their pastas and granolas and have started baking with their flours. If you are all interested you can find more information @ http://www.purityfoods.com. Good luck! That’s good that you clarified. 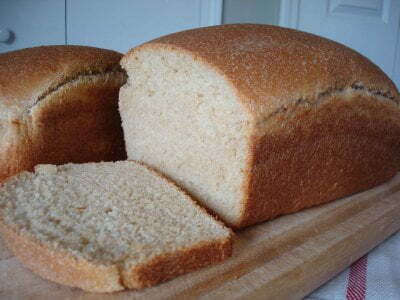 SOME may just be wheat intolerant, but if they’re really gluten intolerant, kamut or spelt won’t help them. While I applaud you for trying new grains, I want to be sure that your readers know that spelt and kamut are closely related to wheat, so they are usually not considered OK for those with celiac disease to eat, and those with gluten allergy/sensitivity are strongly advised not to eat them. 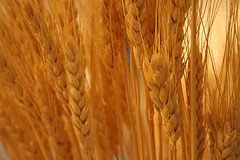 This article contains much more information on celiac disease and grain types. – but the problem is that flours can act very different. The German and Danish spelt flour is more “wet” than the Italian flour that I got. That is VERY interesting! So you get a pretty good rise out of a spelt bread then? And it doesn’t come out dense and crumbly? I can see how too much flour would do that, like you said. Can you email me your recipe so I can try it and then if it works for me, I can post it? Anna, you never cease to amaze me. Thank you for all that great info! I’ve had trouble finding coconut flour, too – I have one more place to look, if I can’t find it there, then I’ll go to the sources on your site. I get my coconut flour from Tropical Traditions. I really like it, although I have to keep experimenting with how to bake with it b/c it acts a little differently than regular flour. Yes, Kelly, I think it's always a good idea to look into how something is made. I did a quick search, and other than lots of similar descriptions of coconut being just finely ground dried coconut, the Tropical Traditions site says grinds the dried coconut flesh that remains after pressing for oil. Sounds fairly innocuous, but I'll keep checking and let you know if I find anything else. BTW, the high fiber content is often touted as a benefit of coconut fiber. I'm actually not sold on the high fiber claims (surprise, surprise, another contrary view). I experienced some, um, problems from grain fiber way back when, and bran supplementation made the problem much much worse. Even when I went low carb almost 5 years ago and ate oat bran & soy flour low carb pita and breads, they created just too much bulk (I'll leave it at that). I think grain fiber tends to be addictive; now that I'm off grain fiber, I'd rather "go" without it. of course, it took me a long time to figure it out, but not too long to adjust. I function much, much better on just whatever fiber is in my produce, nuts, and chocolate! (and occasional coconut flour items). Most of the solid waste we eliminate is dead gut bacteria, old blood cells, and sloughed epithelial cells, anyway, not undigested food and fiber. Even tube-fed people produce bowel movements, despite zero fiber. The intervention studies just don't bear out the results that the epidemiology studies (correllation only) suggested. While I doubt that fiber from veggies causes any problems, I have my reservations about grain fiber, though as you know, if it is soaked it is less of a problematic due to reduced phytic acid. There is some discussion about the lack of evidence for high fiber over at Stephan's and Peter's blogs (and comments) if you ever want to look into an alternative view. Anyway back to coconut flour. Some folks have a hard time finding it. I put an update about it up on my blog not too long ago, with some sites and suggestions for locating it. Coconut Flour is made from fresh organic coconut meat. The meat is dried and defatted and then finely ground into a powder very similar in consistency to wheat flour. It is naturally low in digestible carbohydrates and contains no gluten. It has less carbohydrates than soy or nut flours while high in fiber and a good source of protein. No, I haven’t had a chance to try those yet, but look forward to it. I’ve been busy soaking nuts, playing with my bread recipe, making applesauce to freeze, etc. I’m getting closer to your way of thinking about grains…I’ve actually been avoiding most grains lately, just trying to watch the carbs as I am realizing that it’s best to really limit them, and better for the waistline too, obviously. I don’t even miss the bun on the burger, or the taco fixings without the tortilla. I have a question for you about coconut flour. I’m always thinking to myself, “what’s more natural”, and wondering about coconut flour, if that’s a natural form for that food? What are your thoughts on that? Yes, there’s no hope for either of us, but you’re much further along the healthy road than I am, that’s for sure! My usual alternative is NO grain, but then again, you'd expect that from me, right, Kelly? Once I dove into both the history of human use of grains (very recent in the human diet) and the biochemistry of grains (beyond issues of the starch raising BG and glutens, I found less and less reason to keep consuming grains and more and more reasons to avoid them. You may have been reading some of the excellent research summaries and thoughts from Stephan at Whole Health Source blog and Peter at Hyperlipid (in the UK). Actually, I use a bit of quinoa now and then, but mostly I use nut meals (almond, hazelnut, or walnut) and coconut flour. Coconut flour in particular, has me baking again this year, after a couple of years of nearly no baking (except a cheesecake now and then). I actually came close to donating all my baking pans because their storage space wasn't justified by their use. For example, I made low sugar coconut flour pumpkin muffins (with Italian-style mascarpone cream cheese for spreading) for our dinner with the neighbors on Saturday; they were a big hit with everyone. My son was annoyed I hadn't saved some for us, so guess what I'm baking this afternoon with the remaining pumpkin puree? I like these coconut flour recipes, too, because they use a lot of eggs as binder, so they are full of great nutrients, high quality protein, and natural fats, not just tasty treats full of empty starch & sugar & not much else. Hey Kelly, have you tried cauliflower pizza crust yet? Or Meatza, with ground meat base for a crust? I know, there's no hope for me anymore :-).